A Hollywood producer diagnosed with terminal cancer is suddenly befriended by a hummingbird on his hillside home in Malibu - in what turns out to be an angelic encounter that ultimately saves his life. Playing spiritual lessons off jaded Hollywood all the way to the tragedy of 9/11, The Return of the Hummingbird Wizard is a classic visionary fiction for this modern era ... and for all times to come. 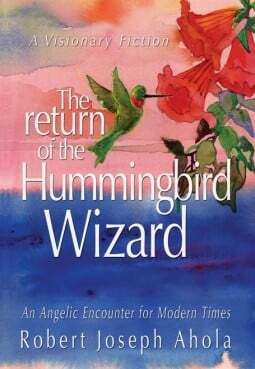 Recipient of numerous five-star reviews, The Return of the Hummingbird Wizard is a story about the resurrection of the human spirit and the role angels play in those personal transformations that come to us all. More important, it is a book of recognition - of our angels unaware and the fact that they often come to us in unsuspected forms and improbable places but always when we need them the most, especially when our life may depend on it.